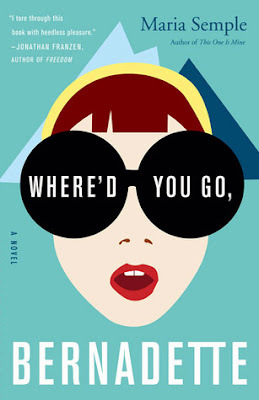 Estella's Revenge: Where'd You Go, Bernadette? Welp, this might be the surprise o'the year. I had absolutely no intention to read Where'd You Go, Bernadette by Maria Semple because I didn't particularly like her first book, This One is Mine, and the premise didn't really blow my skirt up. But when I found myself out of town with no book to read, I snatched this one up in hopes of a quick, light read. It doesn't sound like much, but Semple has a real way with smart, snarky humor and satire. Her critique of the helicopter mothers at Bee's private school brought on plenty of laughs, as did Bee's intelligence and insightfulness as she tries to piece together her mother's secrets from before the disappearance. I really enjoyed getting to know these characters and learning about their deeper motivations. It's easy to write them off as fluffy or insignificant, but as the story unfolded, I was really impressed by what Semple created here.